Hello everybody! 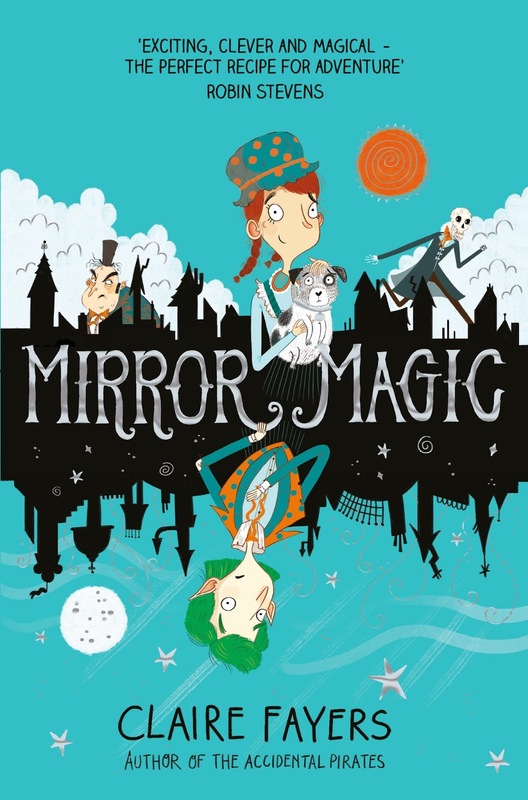 Today, I have the amazing Claire Fayers on my blog, talking about her new book, Mirror Magic. I am so in love with this book, which is why I'm so excited to have Claire on my blog talking all thing magic in the Middle Ages. What would newspapers look like if, for example, the Middle Ages had magic (and newspapers)? King William 1 of England has confirmed that the Doomsday Book will contain information on the mortal world only and will not include the corresponding Unworld towns. It will however contain details of every magic mirror in England. The Council of Conjurors is demanding an explanation after the King’s signature on the Magna Carta vanished days after he signed it. The document, promising protection for the church and conjurors was signed after much argument and disagreement. The King, it is said, never liked it. Now, it seems, he used fairy ink to sign the treaty, knowing the ink would vanish over time. Without a signature, he claims, he is not bound by any of the promises contained therein. The Council of Conjurors disagree. Whether the ink faded or not is immaterial. What matters is that the King did sign the treaty and there are many witnesses. Unfortunately, all witnesses have gone into hiding. The Black Death currently ravaging Europe may be the result of Unworld rats brought in with a shipment of enchanted cloth. Several magic mirrors have been burned in an attempt to contain the plague but it has had little, if any, effect. And, far from discouraging the fashion for Unworld goods, conjurors have been busier than ever, ordering enchanted handkerchiefs and posies of flowers to protect the bearer from infection. The Unworld has denied all responsibility for the plague but, as we all know, fairies cannot be trusted.